This year I had four groups of children – from 3rd to 8th grades. Every child could work with clay once a week. 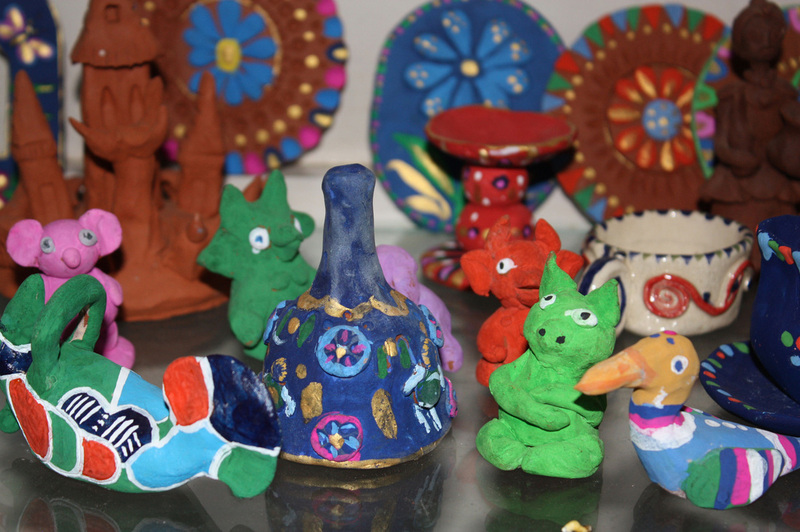 Each group worked with clay, color and graphic pencil. We made dolls, little flower pictures, animals, such as butterflies and birds and different art designs with tools. 3rd standard started with very simple work. They could make more difficult work after a while. They presented a huge variety at the Christmas exhibition. 4th, 5th and 6th standards created even more difficult work. They made about 200 gifts for the fair and Christmas celebration. The gifts were colorful toys and pictures. Also, they made more than 150 tiles for the new Pre-K.G. Building. We made a “castle” with buildings, trees and flowers. (We used it for the Christmas games.) 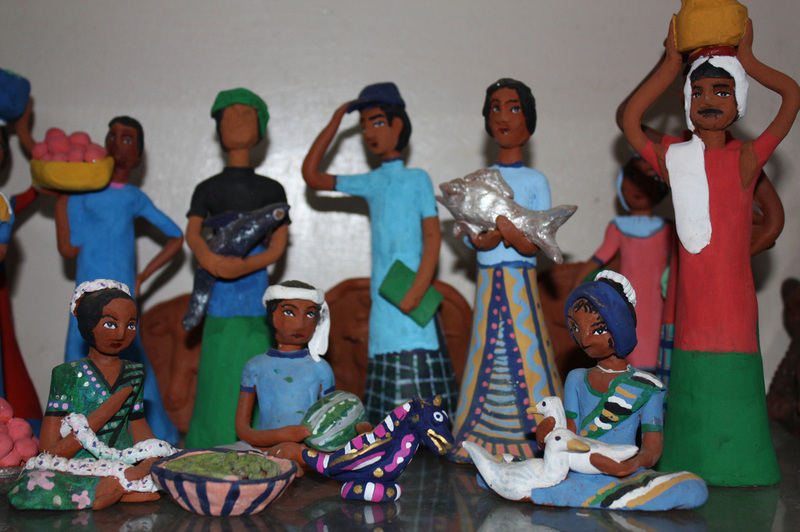 8th standard painted gifts with poster colors and tiles with glaze, mainly. They worked with clay, too, which had a very high quality. These children have worked with me for four years already. I can see a real progress and good results of my work in Udavi School. So, I think, my work in these years was not bad. It is important when working with little children, to start slowly and explaining them small details. thing for all students is to be concentrated and have silence during process of work. To sum it up, we produced many gifts and had an active participation in school life.